In the event of a fire or water loss often times your personal belongings are affected and in order to properly mitigate the loss it is often necessary to remove your belongings from your property to not only restore the structure, but also your textiles, furniture, etc. Not all of your belongings may be affected or contaminated, but removals from the property would ensure a more effective and efficient restoration. 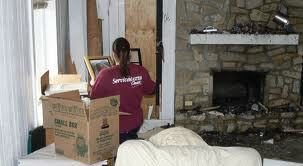 When required, we clean, box, and store your belongings for the duration of the reconstruction and restoration. Clothing, furniture and electronic equipment (ex., computers and home audio) can often be saved and rejuvenated through the use of advanced restoration techniques. A timely response to water intrusion significantly limits costly damage and reduces health concerns, as water damage is progressive. The longer the exposure, the greater the risks. See our downloadable Category III Brochure for more information. ServiceMaster Cleaning® and restoration processes enable your insurance company to determine what, if any, additional services are needed. 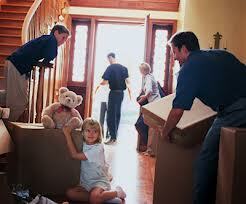 Any final decisions concerning your property rest with you and your insurance adjuster. If you have a large loss, an adjuster may choose to inspect your damage; however, emergency services should not be delayed. Water damage requires a timely response, in order to minimize property loss.